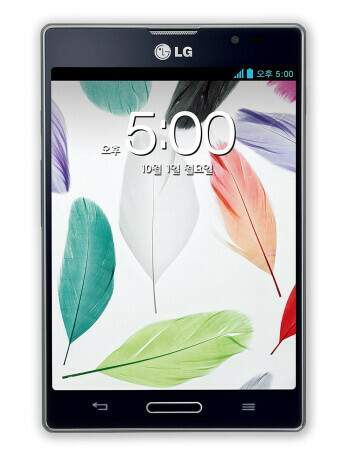 LG Optimus Vu II is the successor of the Optimus Vu and comes with a dual-core 1.5GHz Krait processor, 2GB of RAM, and a slightly larger battery at 2150 mAh. Of course, all eyes are on this unorthodox 5" 4:3 screen, which is still to carve a niche for itself on the market with that aspect ration. The bezel is much slimmer now, though, and the Rubberdium Pen 2.0 (yep, that's what it's called), has a thinner, more accurate nub. 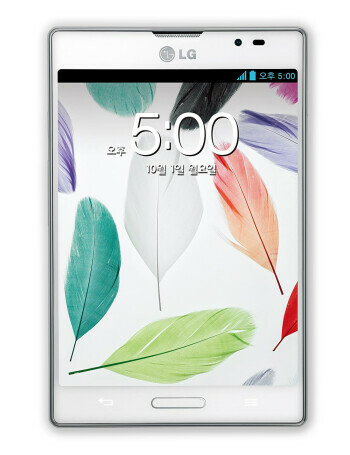 And here come the extras - the LG Optimus Vu supports that sweet VoLTE, but also sports wireless charging with the pad sold separately. It has an IR blaster with the QRemote app to manage electronics around your house, and not only LG ones, plus it sports the so-called One Key fob, that you can dangle on your key chain, and press to make the phone emit a beep, so you can find it. 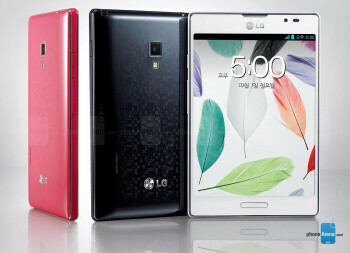 The One Key accessory serves as a notification light for missed messages and such as well.